Sigma's 24-105mm f4 Art is a new general-purpose zoom lens, available in Canon, Nikon, Sony A and Sigma fits. Mounted on a full-frame camera it delivers an ideal walkaround range from wide angle to short telephoto, or it's equally at home on cropped-bodies where it'll deliver coverage equivalent to 36-158mm. Of course it's up against tough competition from the camera manufacturers themselves who all offer similar or even identical ranges. 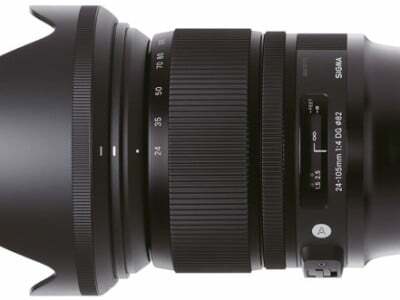 Check prices on the Sigma 24-105mm f4 Art at Amazon, B&H, Adorama, or Wex. Alternatively get yourself a copy of my In Camera book or treat me to a coffee! Thanks! The 24-105mm f4 OS is Sigma’s second full-frame lens in its Art-series which (quote Sigma) “offers sophisticated optical performance and abundant expressive power to deliver faithfully on your artistic vision”. Blimey. The first full-frame Art lens was the 35mm f1.4 DG HSM which put in some astonishing performance in the corners of the full-frame sensor (see my Sigma 35mm f1.4 review). 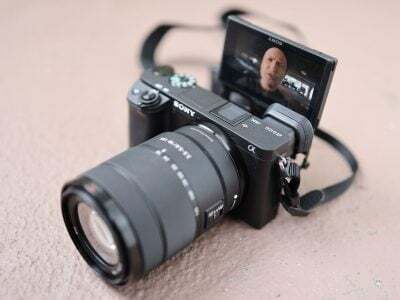 So expectations for the new zoom are high regarding optical performance and also build-quality. A focal range from 24mm to 105mm makes it a very practical zoom for full-frame bodies covering a pretty wide angle of view up to a light tele-photo reach. The lens is available for Nikon, Canon, Sony (w/o image stabilization), and Sigma DSLRs and Sigma offers a unique conversion service should you switch your preference for bodies from say Canon to Nikon. Just send your Art lens in to Sigma-service and they can convert the mount to your preferred new one. The lens is priced around 900 USD / 800 EUR which puts Sigma’s offering below Nikon’s 24-120/4.0G VR at 1000 EUR but clearly above Canon’s EF 24-105mm 4.0 L IS USM which currently sells at around 800 EUR. Conversion service for this lens costs around 200 EUR which seems like a small price to pay considering the cost of a new lens. In my review I’ll put Sigma’s Art 24-105mm f4 DG OS HSM zoom to the test on a Nikon D800 to see how the lens performs on todays highest resolution full-frame DSLR. As usual I’ll have a look at the technical data first. I’ve rated the features with a [+] (or [++]), when it’s better than average or even state of the art, a  if it’s standard or just average, and [-] if there’s a disadvantage. I’ll compare it to Nikon’s AF-S 24-120/4.0G VR (which I’ll simply call “the Nikon”) and “the Canon” EF 24-105/4.0 L IS USM in this section. The score in the “features-department” is 1[-]/7/5[+]. The minus-point being the large filter thread. All-in-all the feature set looks OK with a 4.4x zoom, constant f/4.0 aperture and image stabilization being the most important features of this lens, but it’s also lacking the sealing of the Canon and Nikon alternatives. – I’ve already mentioned the Canon EF 24-105mm 4.0 L IS USM (see Gordon’s Canon 24-105mm f4 review) which offers similar features plus greater sealing at a slightly lower price and the Nikon AF-S 24-120mm f/4.0G VR (see my Nikon 24-120mm f4 review) which has a 14% longer reach but also costs a bit more. – There are also shorter alternatives: for Nikon bodies there’s the Nikon AF-S 24-85mm f/3.5-4.5G VR (see my Nikon 24-85VR review) which can be had for less than 450 EUR. Or if you prefer the 24-70mm range, there’s an f2.8 Nikkor for Nikon bodies, or both f2.8 and f4 versions for Canon’s bodies. 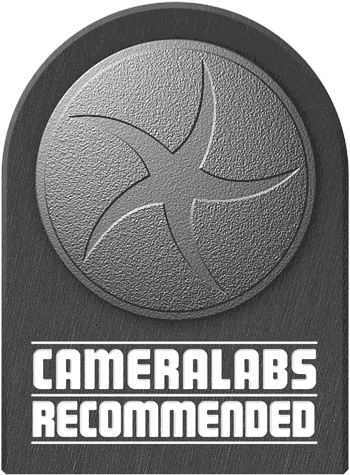 – Or you consider going longer with a Canon EF 28-135mm f/3.5-5.6 IS USM, a Nikon 28-300mm f/3.5-5.6G VR (see my Nikon 28-300VR review) or a Canon EF 28-300mm f/3.5-5.6 L IS USM which is a serious piece of gear not really comparable to the other lenses size-, weight-, and price-wise. Focus accuracy and repeatability is critical to consistently produce sharp shots. Repeatability (the accuracy of focus on the same subject after repeated focus-acquisition) of this lens is excellent with no outliers over a series of 40 shots. And there is no performance variation whether the lens focuses coming from infinity or from minimum focus distance. The lens mostly focuses very fast at around 0.5 sec from infinity to 1m. But sometimes it overshoots the target and hunts a bit but still manages to find focus in a round 0.7 seconds. The lens’ AF can be fine-tuned with Sigma’s Optimization Pro software that also doubles up as a way to update the firmware of the lens. You get a total of 16 individual points to fine-tune AF: for 24mm, 50mm, 70mm, and 105mm focal length and for distances of around 45cm, 0.9m, 2m, and infinity. Just put the lens in the USB-dock and tune away. Unfortunately there was no time during my test period to try-out this unique tool. The focus ring has no slack/play between its movement and the focus-action and a throw of around 90 degrees, which is a bit short at the long end for accurate focus wide open. The focus ring is extremely small with only 6.5m of rubberized surface but movement is pretty smooth as is the zoom action. Both the focus-ring and the zoom-ring turn the same way as Canon zooms. Unfortunately that is the opposite direction to what Nikon users have come to expect. 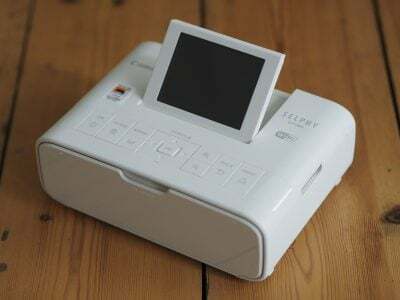 AF-operation is pretty quiet on the outside, and if you record video with the built-in microphone focus-movement produces only a slight “clack” at the start of the movement and little other noises. The operation of the image-stabilization is inaudible. Shaking the lens does produce some noise. 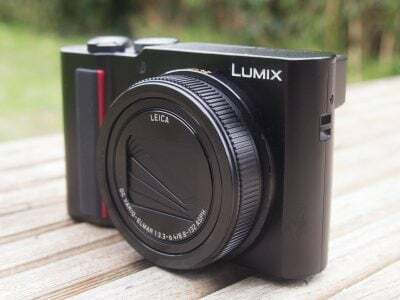 But apart from that the general impression of build quality is pretty high: A high quality metal/plastic construction and nine rounded aperture blades. And the double-barrel zoom design can only be moved slightly from side to side when fully extended to 105mm focal length. To test the effectiveness of the image stabilization I did a series of over 140 controlled test-shots hand-held at 105mm focal length. Around half of those were with OS=OFF at 1/100 of a second and the other half was with OS=ON and shutter-speeds that were 4 – 8 times slower. After rating the sharpness of those images at 100% magnification on a scale from 0 to 5 I compared the samples with shorter shutter speeds and OS=OFF to those samples with longer shutter-speeds and OS=ON. I can report that the OS is good for around 3 stops of stabilization, that is the set of shots at 1/12 sec were on average as sharp as the set of shots at 1/100 sec. This is a very good result and makes the images stabilization of this lens a very useful feature. Now it’s time to check out the results in my Sigma 24-105mm f4 OS quality and Sigma 24-105mm f4 OS sample images pages, or if you’d like to skip to chase, head straight for my verdict!